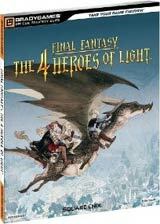 With Final Fantasy: The 4 Heroes of Light, the Final Fantasy series is rendered anew as an epic storybook adventure by the creators of the Final Fantasy III and Final Fantasy IV Nintendo DS remakes. Players will enter a beautiful fairy-tale world featuring illustrations and character designs by acclaimed character designer Akihiko Yoshida (Final Fantasy III for DS, Final Fantasy XII, and Final Fantasy Tactics games). 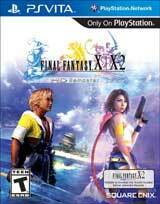 The first original FINAL FANTASY title for Nintendo DS brought to life by the development teams behind the Nintendo DS remakes of FINAL FANTASY III and FINAL FANTASY IV. 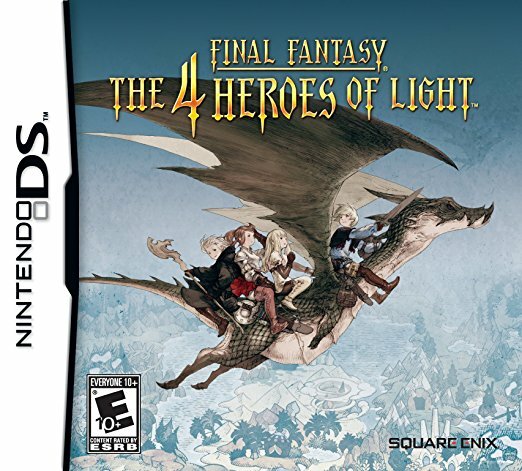 Charming storybook visuals crafted under the guidance of art director and character designer Akihiko Yoshida (FINAL FANTASY III for DS, FINAL FANTASY XII). Combat is fun and intuitive with a battle system that operates on Action Points; Requiring nothing more than a simple selection of commands, players can dive right into a classic turn-based RPG battle experience. The Crown Job System offers a selection of over two dozen jobs to choose from where players can freely customize a character?s abilities and magic skills no matter which crown they have equipped creating endless possibilities. Help friends advance in their adventure, or join forces to conquer tough dungeons; The multiplayer mode enables cooperative play for up to four players.